Surfs Up! 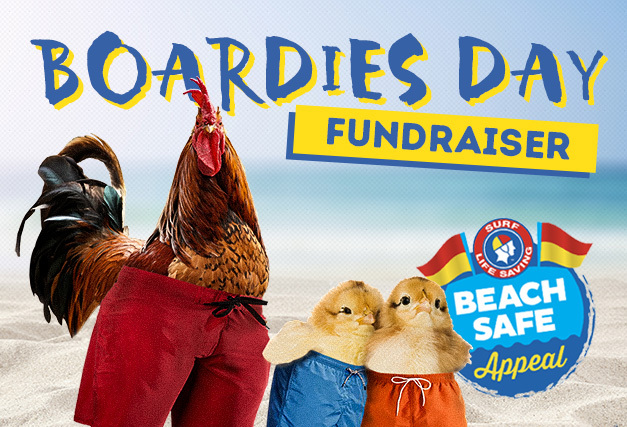 Show us your boardies & hang ten at The Hen to raise money for safety on West Aussie beaches! We are getting ‘on board’ with the Surf Life Saving WA Beach Safe Appeal & hosting a Boardies Day, Monday 28th January – Australia Day Holiday! There will be a super cool Slip N’ Slide, live music, super soaker fun (BYO weapon of choice), Aussie music tunes & more! Come and meet an amazing team of Lifesavers from the SLS, there to join in the fun! The team will also be collecting donations & selling raffle tickets on the day. Every dollar raised through Boardies Day will go towards resourcing vital lifesaving activities and allow the lifesavers to do what they do best, save lives. Kids don’t forget to pack your super soaker and wear your boardies – there will be a prize for best boardies!